In a medium saucpan over medium heat pour freekeh water, coconut milk, stir and bring to a boil. Add vanilla extract and maple syrup cover, reduce heat to low and simmer for 20-25 minutes until all the water has been absorbed. 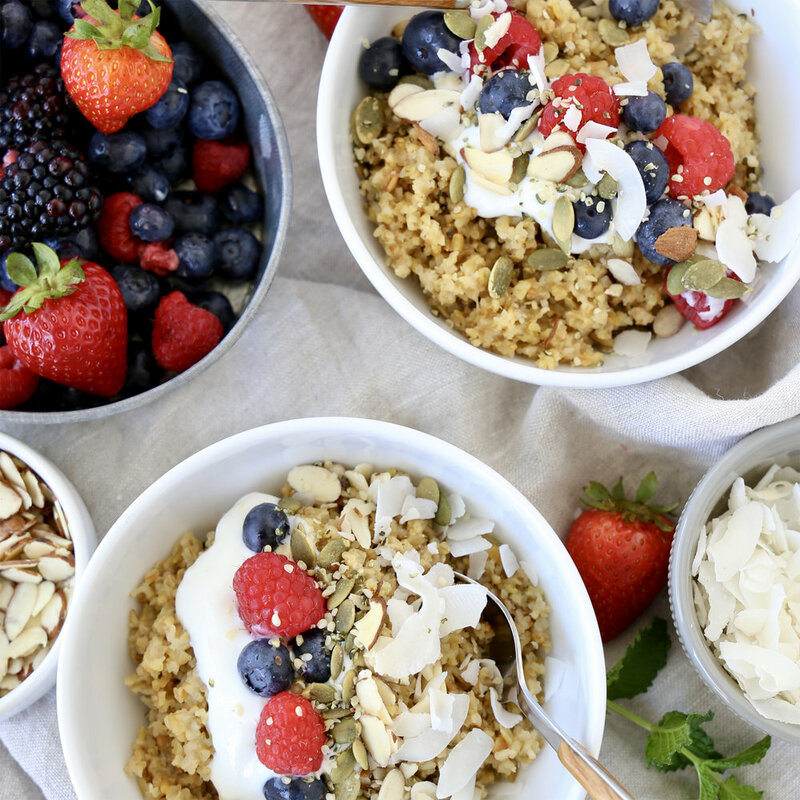 Cool and refrigerate freekeh in airtight containers for up to 3 days to use later or add 3/4 cup freekeh to each bowl with 1/2 cup vanilla yogurt and 1/2 cup berries and 1 tablespoon superseedz.